72 cards (24 of each design), 24 brushes and instruction guide. 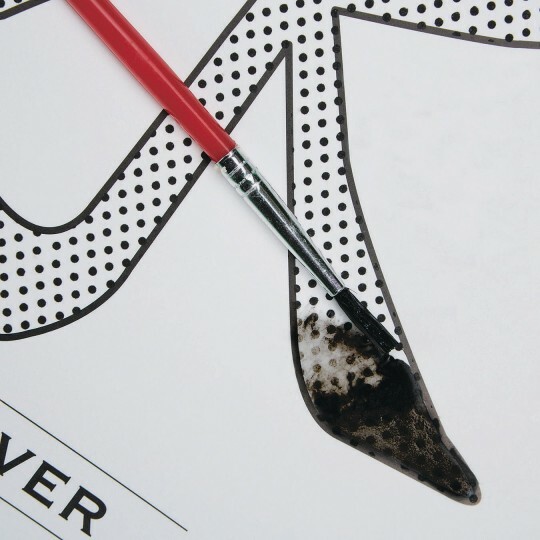 Just brush on water - the paint's on the paper! 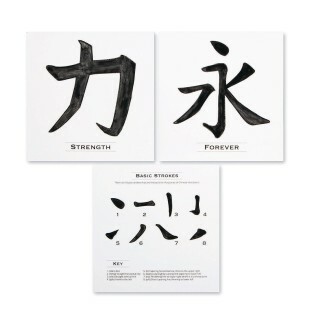 Each person receives 3 designs: Basic Strokes, Simple Character (Strength) and a Complex Character (Forever). 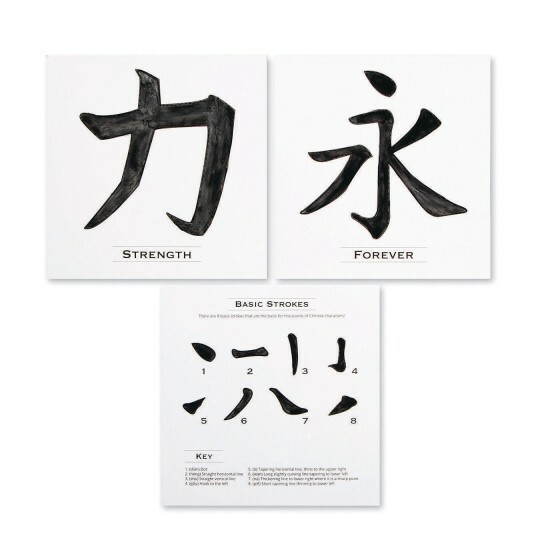 The instructions include educational information about Chinese characters/writing and step-by-step directions. Includes 72 cards (24 of each design), 24 brushes and instruction guide. This was a great art kick off project to a joint lesson I taught with our Mandarin teacher. Student's were able to become familiar with the Chinese characters and practice their writing skills with the Mandarin teacher. 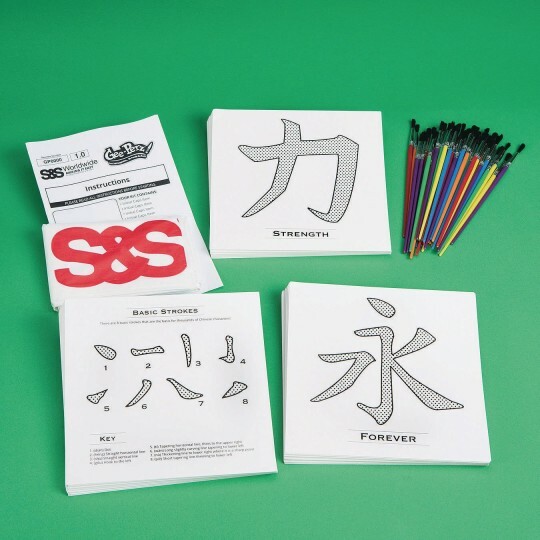 In art class we illustrated pictures to go along with the Chinese words from the kit. 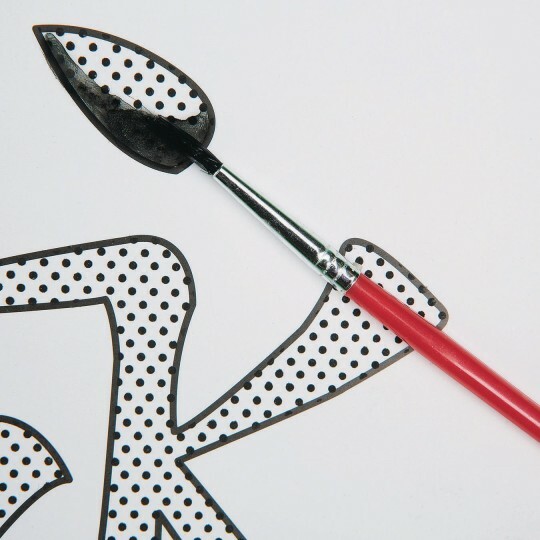 The only issue with the product is that the proper order for drawing the brushstrokes is not provided on the card. However as an Art teacher I would not have known there was an order until the Mandarin teacher pointed it out.